It’s been way too long since I posted something to my site. 2011 is here (well, it’s been here for a month and a half) and I vow to start posting to here more often. As my first official post of the new year I am here to announce (because I’m sure you care) that 2011 is the year that I boldly go where I’ve never (really) gone before. 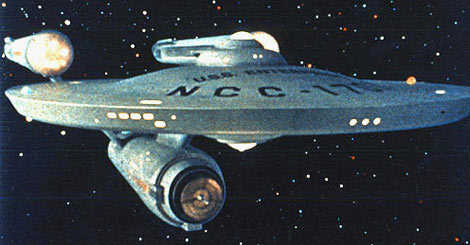 2011 is the year that I absorb every episode - and every movie - of Star Trek…. I’ve always been a fan of Star Trek in some sense. I’ve seen almost all the movies (for some reason I don’t think I’ve ever seen “The Search for Spock”) and I always wanted to get into one of the television shows, but never stuck with them. I started Voyager when I was in college but never got past the first couple episodes - and sadly Enterprise is the one series that I’ve seen the most episodes for. Now, with Netflix - I finally have the ability to give this world the respect that I’ve always wanted to by watching all the movies, and every episode of every series. And if my calculations are correct - that means that I will be watching 725 episodes of Star Trek (plus the unaired pilot if I can get my hands on it) and 11 movies. This is going to take me years. But as a geek - this is me being productive! Now I know that some of these series were on air at the same time - and many of the movies took place in between many of the series - and the last series is actually the first story, but I am not going to watch everything in the chronological timeline order. Instead I am using this viewing order I found at VidTheKid.info. It breaks down which seasons of which series to watch and the movies to watch in between them - and it seems like a good method to go with. So, here I go - ready to turn myself into a Trekker (see, I already know better than to use that other term) and I’m ready to give my thoughts on the subject every step of the way - I’ve even dedicated a special area of the site just for Star Trek.